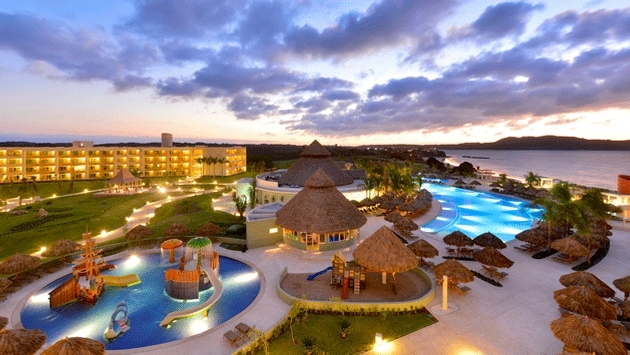 PHOTO: Iberostar Playa Mita is the company’s latest five-star, all-inclusive resort. As multigenerational travel continues to grow, it is more important than ever for hotel and resort companies to cater to families. Some companies now make roughly 70 percent of their business through families, exemplifying the need for hotels and resorts to offer a wide range of services that include all age groups. All-inclusive companies have made it easier for travel agents to package everything. However, there are still plenty of companies that don’t focus on all-inclusive options but that are gaining recognition throughout the industry for their outstanding family-friendly atmospheres. In this issue of Agent@Home, we look at 10 top resort companies that are going above and beyond for families — and reaping the benefits in the process. Most of these companies have won multiple awards for catering to multigenerational groups, and they continue to find innovative ways to accommodate kids and their parents. 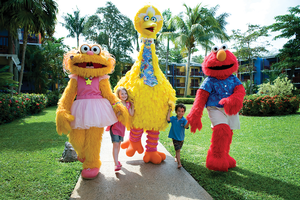 PHOTO: Beaches Resorts’ partnership with Sesame Street caters to kids. Sandals’ Beaches Resorts brand — comprising Beaches Turks & Caicos Resort Villages & Spa, Beaches Negril Resort & Spa and Beaches Ocho Rios Resort & Golf Club in Jamaica — offers all-inclusive family vacations in the Caribbean. You have Beaches Turks & Caicos’ Pirates Island Waterpark (complete with giant waterslides, kid-friendly pools, swim-up soda bars, water cannons, whirlpools, lazy rivers and even a surf simulator) and Caribbean Adventure with Sesame Street (including the Sesame Street Carnival Parade, the stage show “Celebrate Friends,” and pop-up activities creatively incorporating building blocks and strings). Beaches Resorts also offers Xbox play lounges, junior golf clubs, kids scuba programs, hangout spots (for tweens and teens only), DJ academies, watersports and Caribbean adventure tours. For the parents, the resorts offers spa services, sports such as tennis and basketball and romantic candlelit dinners (complete with premium drinks and wines). Add in the popular kids camps for all ages and you have yourself one heck of an all-in-one experience. 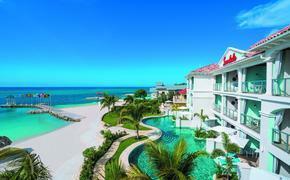 PHOTO: Club Med will unveil details about its Club Med Great Agent Awards at the Club Med Cancun Yucatan in September. For one, Club Med has several category-based drop-down menus on its website to include all interests. You can narrow down your choices by age-specific children’s clubs, by activities and by comfort level, just to name a few. Fifteen different Club Med resorts are included in the “family-friendly” section of the website, just to give you an idea of the company’s focus. To cater to the family, Club Med offers various categories of rooms, a variety of restaurants, a club for teenagers, a wide range of activities specific to each destination, complimentary spa services and evening events. The company even offers childcare supervision, as well as the Club Med Baby Welcome Program (including baby equipment and special baby rooms). According to Patrick Mitchell, vice president of sales for Club Med North America, 70 percent of Club Med’s business as a whole comes from families. Club Med has ramped up its service to travel agents in the past few years, too. It held its first Travel Advisor Appreciation Month this June, offering getaways, prizes and spa packages in several campaigns during the month and will unveil details about its first-ever Club Med Great Agent Awards event in September at Club Med Cancun Yucatan. PHOTO: Walt Disney World in Orlando is just one example of how Disney’s resorts around the world are dedicated to catering to the needs of families. 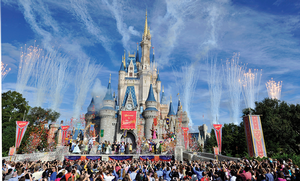 Disney is synonymous with family travel, given its wide range of worldwide theme parks, hotels and resorts. Disney boasts more than 30 hotel and resort locations just at Disneyland in Anaheim, Calif., and Walt Disney World in Orlando. That’s not to mention its other locations around the globe, including Hawaii, Paris and Tokyo. Disney is always looking for new ways to appeal to families, whether it’s through new attractions such as the Seven Dwarfs Mine Train at Walt Disney World, theatrical shows and experiences with Disney characters, sports and recreation, tours through Adventures by Disney, fitness facilities, interactive campaigns such as “Show Your Disney Side,” or special money-saving deals. If you have clients interested in luxury family travel, Four Seasons Hotels and Resorts is a company you just might want to check out. Unique family-friendly activities range from harvesting tea at Four Seasons Hangzhou or manta ray experiences with experts at Four Seasons Resort Maldives at Landaa Giraavaru to skiing and snowshoeing at Four Seasons Resort Rancho Encantado Santa Fe or horseback riding and fishing at Four Seasons Hotel Hampshire in the U.K.
Best of all, properties such as Four Seasons Resort Maui at Wailea offer complimentary activities such as outrigger canoeing and snorkeling to all guests, as well as kids programs with nannies and tour guides. Hard Rock Hotels & Casinos offers four all-inclusive properties: three in Mexico (Cancun, Puerto Vallarta, Riviera Maya) and one in the Dominican Republic (Punta Cana). Hard Rock Hotel & Casino Punta Cana includes family-friendly amenities such as mini-golf, an arcade center and an Xtreme Center featuring a climbing wall. The hotel also offers The Little Big Club, which includes interactive activities and live shows with Barney, Bob the Builder, Angelina Ballerina and Thomas the Tank Engine. Hard Rock Hotel Cancun’s Little Big Club features a pool, a slide, a trampoline, a video game room, a mini cinema and more. The property’s Cavern Club features an action-packed environment, complete with beach activities, billiards, air hockey and disco nights. Hilton now has 11 different brands, including the recently introduced Curio brand, so you would expect the company to have plenty to offer families. No matter where families plan to travel, you can bet Hilton will accommodate them. For example, Grand Wailea, A Waldorf Astoria Resort features Camp Grande, a resort-within-a-resort for children. Kids can paint, make authentic leis, play ancient island games and listen to storytellers. Hilton Barbados Resort offers treasure hunts, a pool, beach games, movies, masquerades and more through its Kidz Paradise club. And if you find yourself in Germany, Hilton Munich City includes babysitting services, a children’s dining menu and a sightseeing tour through the city. Hyatt, like Hilton, offers a range of activities for kids and adults alike. Adult pools and kids pools are offered, as well as water activities, outdoor activities, kids programs, entertainment options and spa services. There is also the kid-friendly Camp Hyatt, which focuses on the culture and environment of each destination, as well as teen activities ranging from ziplining to birthday celebrations (or ziplining birthday celebrations). Camp Hyatt is available in several destinations, from California to the Caribbean. For the whole family, there are activities such as hot-air ballooning in New Mexico and wildlife tours in Maui. Hyatt also offers several family-friendly packages and, upon request, will accommodate children who need special assistance. 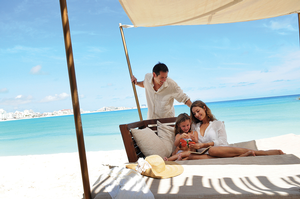 Iberostar caters to the specific needs of families with resorts in destinations from Europe and Africa to South America and Mexico. The resort company also features kids’ programs, water activities and outdoor events, a variety of dining options and family-friendly facilities and services. Iberostar Playa Mita, the company’s latest five-star, all-inclusive resort, features the family-oriented Splash Park and Disco, as well as a gym, a library, tennis courts and a luxurious spa. Iberostar believes that it is important to build in a wide variety of all-inclusive services into its properties, and don’t expect the company to stop anytime soon. From comfy beds and free Wi-Fi access to onsite restaurants, Marriott aims to make it as easy as possible for family members to get a good night’s rest, feel comfortable and eat whatever they would like. And if you are a family with a pet, Marriott has 256 Family Travel Hotels that are pet-friendly. Add to that hundreds of locations with fitness centers, pools and business centers, and you basically have everything for everyone. From Universal Studios Hollywood to Universal Orlando Resort, Universal Parks & Resorts has won numerous accolades for making its offerings a special experience for families. Universal Orlando Resort includes two theme parks — Universal Studios Florida and Universal’s Islands of Adventure — and three themed onsite hotels (Loews Portofino Bay Hotel, Hard Rock Hotel and Loews Royal Pacific Resort). The Orlando location also features a 30-acre Universal CityWalk, and its latest addition, the Wizarding World of Harry Potter - Diagon Alley, features the new Harry Potter and the Escape from Gringotts 3-D multidimensional ride.